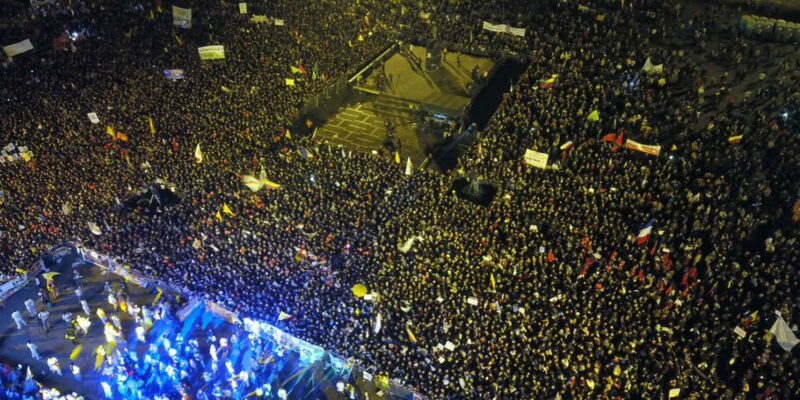 Colombia’s anti-corruption candidate Gustavo Petro draws crowds that would make many rock bands jealous. The leftist candidate’s latest show of force was on Thursday in Bogota where tens of thousands of supporters went to see him speak at the central Bolivar square. Armed with flags and banners, the followers loudly took part in the largest political manifestation in years. Petro “challenged the establishment bringing a sea of people,” said the magazine, aware of the historic size of the crowd. Colombia has not seen such massive election rallies since the 1980s when presidential candidate Luis Carlos Galan was murdered while challenging Colombia’s elite politicians. 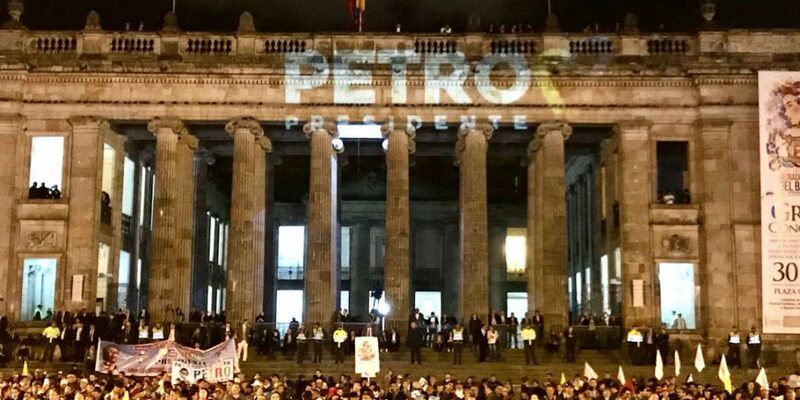 Petro has gladly referenced the legendary Liberal Party leader and Jorge Eliecer Gaitan, another leftist leader who was murdered while threatening to defeat the establishment. Whether Petro’s efforts are enough to defeat Uribe’s candidate, Ivan Duque, on May 27 is far from certain. Duque has campaigned hard to appeal to conservative voters who don’t take part in rallies as much. 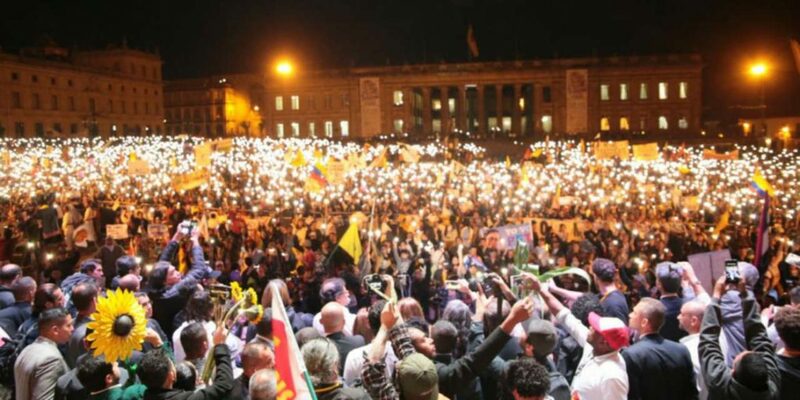 But Thursday’s event must have woken up Colombia’s establishment and can only be compared to the crowds that were mobilized by legendary politicians that have since made the country’s history books.